With James Bond fever kicking in this week being the 50th anniversary of our screen hero, and with only days until the release of 007’s 23rd outing, I thought it would be fun to put pen to paper, so to speak, and find 007 totally unrealistic things that have happened in a Bond movie. These are my top seven. By no means is this a definitive list, feel free to submit yours, I’m sure I’ve left out a more obvious one. Enjoy. 001) In Live and Let Die, at the end of the movie when Bond puts the gas pellet in Mr. Big’s mouth and he inflates!!! I mean really – it’s almost as if we are all made of rubber. That just wouldn’t happen. 002) In Tomorrow Never Dies there is the scene where Bond is on the motorbike with Wai Lin when the helicopter appears to have them trapped in an alley. The helicopter is on its side. Helicopters can not physically hover like that. Just not possible. Sorry. 004) Die Another Day had a few unrealistic events occur, but the one that still has me cringing with embarrassment today is the invisible Aston Martin. I mean really!! 005) Moonraker! !I bet you were waiting for this one. Let’s not forget it was 1979, and sci-fi films were just starting to hit our screens. I suppose it was inevitable that Bond would end up in space in one way or another. However, the scene I am referring to is the first in the movie. 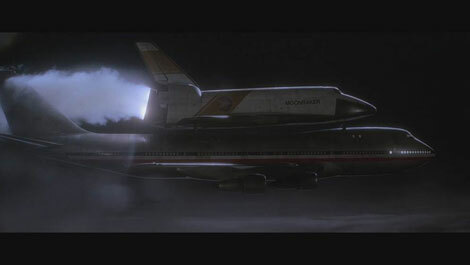 It’s when the space shuttle is being stolen off the back of the 747 in mid flight. Firstly, the space shuttle wouldn’t be fueled for transportation, and, well, need I go on?? 006) Goldfinger: When Bond goes to open the “nuclear device” he picks up 2 solid gold bars and starts to use them to open the casing. 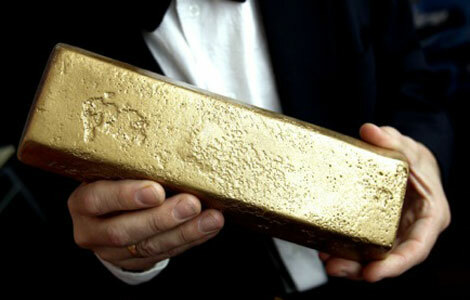 Due to the density of gold, it is almost impossible for a person to lift even a single bar without the use of two hands. Let alone one in each hand, using them to open a box. Also let’s not forget, there was no damage to the gold. Gold being the softest of metals, it should have shown severe damage if used in that manner. 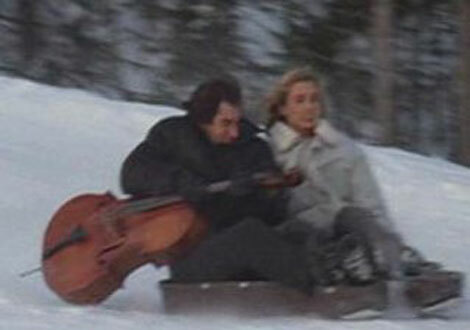 007) Who can forget the opening scene from The World Is Not Enough? 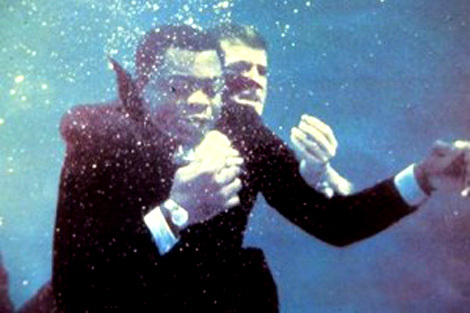 Bond is chasing Cigar Girl down the Thames and the speedboat turns into a submarine for a minute whilst Bond holds his breath to straighten his tie and dive under a closing bridge. Or when he decides to cut through the streets of London, still in his speedboat, career through the fish market, and then a restaurant wall to catch her. There is no damage at all to the lightweight frame of the boat or the underside which surely with all the scraping of the London roads would have made a hole in!!! Well those are my top 007 observations for the most unrealistic things that have happened in a Bond movie, but let’s not forget, without all those points, Bond wouldn’t be Bond and we wouldn’t have the best agent in the world to excite us every few years. Here’s to another 50 years of James Bond 007.